These words from Stephen Gundry’s “Plant Paradox” are quite possibly pivotal in food-choice understanding. This is why we do what we do and how to change it! “Point #1: What you stop eating has far more impact on your health than what you start eating. All disease begins in the gut. If you stop damaging your gut <with what you’re eating>, you’ll be healthier overall. 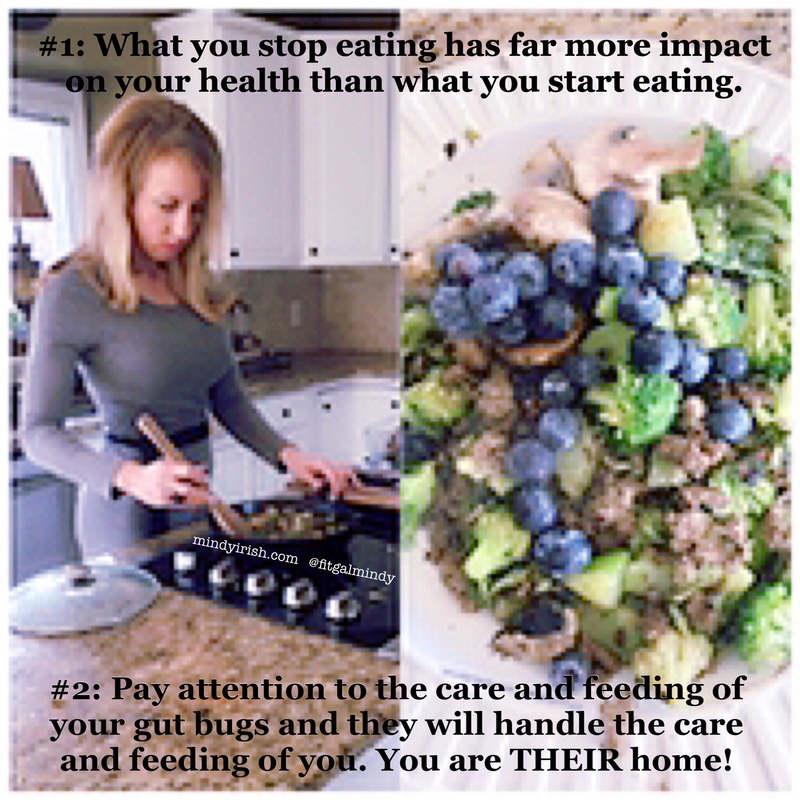 “Point #2: Pay attention to the care and feeding of your gut bugs and they will handle the care and feeding of you. You are THEIR home! In this scenario, only the bad gut bugs can survive and thrive off of what you throw down to them. The bad bugs demand more sugar, refined carbs and refined fats…known as junk food.